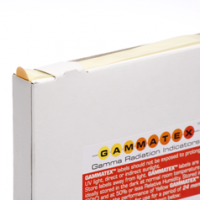 Our Gammatex ®™ gamma/e-beam sensitive labels are a reliable way of indicating gamma / e-beam radiation sterilisation. 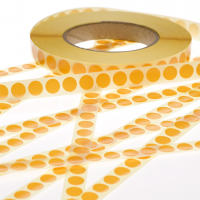 Manufactured in 12mm dots in rolls of 5000 labels. 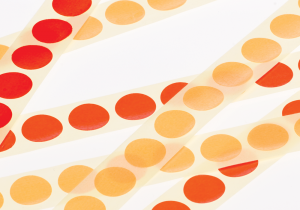 There is a noticeable colour change at 10kGy with a continual increase in red colour strength through 25kGy and above. 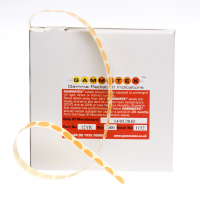 The labels can be hand applied from the dispenser box but are also suitable for automated application.